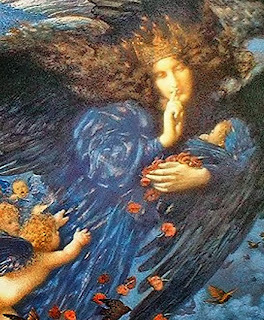 The workshop takes place during the Full Moon (Sun in Scorpio and Moon in Taurus), during the solar cycle of Scorpio, an ideal time for exploring, understanding and releasing hidden aspects of our being, including both our deepest desires and fears. Scorpio is the sign associated with the taboo aspects of life, including the esoteric and deep features of sexuality and death, and our relationship with unseen realities, which profoundly affect our everyday life. This workshop is a full immersion in the world of Scorpio, supported by simple astroshamanic and tantric practices. The aim is to consider sexual energy from a holistic and multidimensional perspective, honouring both physical intimacy and chastity. We will use the astrological chart as a living field to explore experientially the key elements of our sexual energy, how to activate and direct it towards what we consciously choose to create in life. This workshop can be preceded by the workshop from 1 to 3 November 2013 (click here for details). The workshop takes place in Corvaro (Rieti), at Terra di Luce, via Fuori le Mura 10, tel. 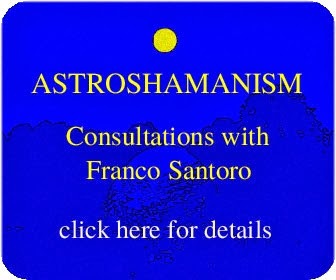 0746306529, info@astroshamanism.org, liliana.cozza@gmail.com. It starts at 10 on 16 November 2013, and ends at 16:00 on 17 November 2013. It is suggested to arrive on Friday evening, taking part in an introductory meeting at 20.